If you run a device that is powered by Microsoft's Windows 10 operating system, you may have noticed Microsoft Edge processes in the Task Manager or another program even if you don't run the program. The Microsoft Edge processes should be gone after the restart. You can undo the change by deleting the mentioned keys and values in the Registry, and allowing Edge to run in the background. Now You: Which is your preferred browser right now? Find out how to prevent the Microsoft Edge web browser from running in the background on Windows 10 devices. Now how do I identify and get rid of the 75 “Host Process for windows Services” tasks I see? 75 freaking tasks with the same exact name! Thanks Microsoft. You can click on the little arrow next to Service Host: under Processes in the Task Manager to see which service or services are linked to the process. Redundant and retarded task manager view. My bad. I was using an old task manager substitue. Under Win10 Task Manager, I see that these tasks are ID’d as “Service Host: name”, which at least helps identify them. There should be an option to exclude Microsoft processes from the display since there isn’t much that a user can do about most Microsoft processes. Seeing them is only useful when there is some sort of problem. use ltsb, I have mine cut down to 39 processes. There’s the excellent Black Viper’s Service Configurations pages, those I’ve used for Windows XP then for Windows 7, which includes all Windows versions. Last time I messed with Black Viper, I wound up hosing my system and had to restore it from image backup. You are better off demoting Windows inside a VirtualBox or Gnome Boxes on Linux for whatever windows software’s you need to use. For windows games, you can use Lutris or Steam + Proton. Uh, I don’t have the MicrosoftEdge key in the registry. That’s why I stick to Windows 7 until the bitter end. At least you have control over your OS and it’s not flat and ugly like some early Alpha build. yeah gotta remember to check that setting page whenever windows updates. mine has gamebar enabled for some reason even though I had turned off everything but windows defender before. shady as always. In the third paragraph, “the not-yet-released Chromium-based version of Windows 10” should read “the not-yet-released Chromium-based version of Edge”. I’m embarrassed to say I was actually really confused and somewhat astounded for a second, as I read it as a Chromebook-based version of Windows 10. Why do Windows users have to suffer such nonsense from M$.? 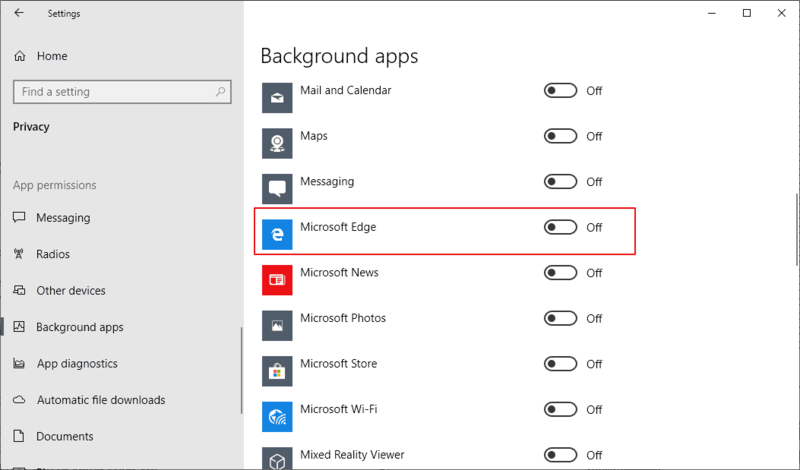 Why can’t Edge be removed/uninstalled from Win 10.?. It is not fair-trade for a non-free OS like M$-Windows to integrate her browser(= IE and Edge) or Search engine(= Bing) or Digital Assistant(= Cortana) or One Drive or Skype or Store into the OS. Such stand-alone apps/programs can be preinstalled by M$ but they should also be removable/uninstallable from the OS. M$ has been abusing her market-monopoly power. OTOH, it is fair-trade for a free OS like Google-Android or ChromeOS to integrate her stand-alone apps/programs into the OS = the business model of offering free OS to users in exchange for the ability to derive ad revenue or other revenue stream = similar to free-to-air TV companies like ABC, CBS, NBC and FOX. In effect, M$ has been double-dipping or triple-dipping = super-greedy..
> Why do Windows users have to suffer such nonsense from M$.? Because Microsoft has become a dirty company. Never say never, which is why I don’t say that I’ll never switch to Windows 10, mainly because maybe naively I still wonder if Win10 will emerge from hell to be one day acceptable. But I discover but flaws, one after another. I’m losing hope, Linux is becoming more and more tomorrow’s OS alternative. For the time being I just cannot imagine moving to Window 10. True. They became a dirty company in the late ’80s. They started as a dirty company, ripping off IBM (look up the story of OS/2 and little Billy Gates and his gang of crooks) and have been criminals ever since. You can legally call them criminals because they have been convicted several times now of corporate crime. 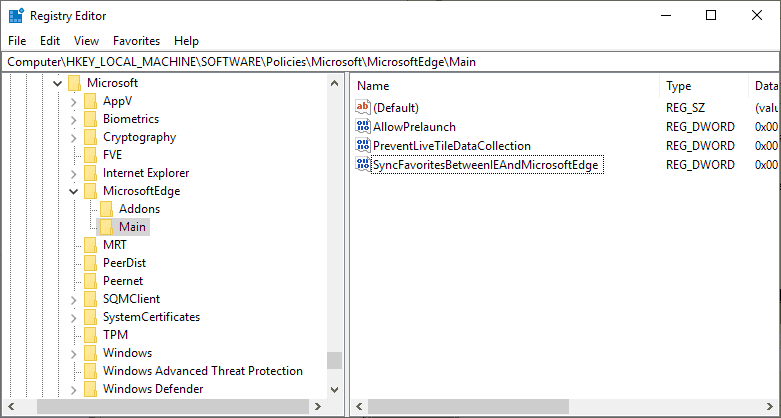 With win10 pro, use gpedit to look at edge tweeks. Using Windows Home x64 [Version 10.0.17763.292], I use Chrome beta x64 and rarely IE11. I never need to use Edge. chesscanoe: That’s not the point. Windows is still starting Edge whether you use it or not. Martin explains hot to stop that from happening. Would this make Edge slower to open? What affect would this have on windows search? Uhm don’t use any edition of 10 except LTSB/LTSC. KMS activation is easy. This is a disturbing trend, and I hope not every software company starts adopting it. Otherwise my 32GB of memory will start going pretty fast. Thank god it was already disabled for me, but good tip anyway! I went ahead and turned off some other background apps that I never use. Uhhh wait a minute, why do I have to set SyncFavoritesBetweenIEAndMicrosoftEdge to 1 get Edge to stop running? That sounds like we are going in the wrong direction. Don’t we want Edge to be doing less? BTW, other than running Linux (and I “should” but don’t, I don’t have the time, I spend enough time trying to get Tech working that has teams of people testing it) you are back to using an abucus. Every time I wander in to look at the processes in OS X and figure out what it is that is the latest thing trying to sending bits over the internet through the Little Snitch firewall, I get more depressed. It’s unclear if you mean the Registry (policy) change to be an alternative method or something meant to be used in addition to the UI toggle, but I only did the UI toggle (for Edge), rebooted, and no longer see the usual two Edge processes in memory, so the Registry/policy change seems unnecessary and may in fact just be an alternative method. Windows 10 x64 Pro Insider Preview build 18334 does not have a MicrosoftEdge Key under HKEY_LOCAL_MACHINE\SOFTWARE\Policies\Microsoft\ at all. I’ve also tried to follow the above steps, but like John L. Galt, I don’t have a ‘MicrosoftEdge’ key under ‘HKEY_LOCAL_MACHINE\Software\Policies\Microsoft’ either.